A pub has been hit by a car in a Sussex town centre, injuring three people. According to an eyewitness, there are three fire engines, three ambulances and at least three police cars outside The Three Fishes pub in Chapel Road, Worthing, where the accident happened. The same eyewitness saw someone being arrested at the scene by police who was not involved in the collision. Click here to read witnesses describing what happened. A Sussex Police spokesman said: "Sussex Police have been called to a road traffic collision between a car and two pedestrians which occurred around 5.20pm on Thursday (January 3) in Chapel Road, Worthing. 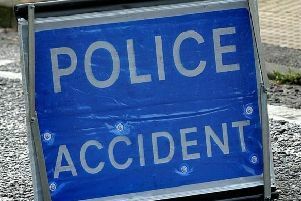 The pedestrians, a man and a woman, and the driver of the car are all believed to have suffered serious injuries. The road is currently closed and emergency services are at the scene." Worthing Fire Station posted on Facebook: "We are currently attending a Road accident in Chapel Road outside the Three Fishes involving three people . Road is closed and will be for the next hour.